Former UEFA president Michel Platini, revealed that choosing the Ballon d’Or has never been easier as he would vote Raphael Varane. It appears that former UEFA president Michel Platini, doesn’t really care about trends as he would choose France defender Raphael Varane to win the Ballon d’Or this year. The achievements that players like Luka Modric, Cristiano Ronaldo, Antoine Griezmann, and even Kylian Mbappé are not important to him. In Platini’s view, the prize should go to the only player who won the two major trophies of the year, which are the World Cup and the Champions League. Raphael Varane did have a starring role in both competitions for Real Madrid and France, but the defender is far from the type of player that usually gets picked to win the Ballon d’Or. Also, there is a very slim chance for Varane to be the player who breaks the 10-year tradition of giving the award to either Lionel Messi or Cristiano Ronaldo. Even the Argentine who won none of those important trophies that Platini considers for giving the prize, has a far better chance of being in the podium than Raphael Varane ever will. The France international also has at least another three compatriots to worry about if he wanted to pick up the prize at this year’s ceremony in Paris, his teammates Kylian Mbappé, Antoine Griezmann, and N’Golo Kanté have a better chance than he does to be part of the ceremony. "It has never been easier to choose a Ballon d'Or winner. Only one player won both the World Cup and the Champions League – his name is Raphaël Varane." There is still no clue to which player will be part of the podium for the award, but the favorites to be part of it are still Luka Modric, Cristiano Ronaldo, and Antoine Griezmann. Paris Saint-Germain star Kylian Mbappé, does have a slight chance of sneaking in the final three players who will fight for the award, Lionel Messi does too because of his impressive stats from 2018. But the most obvious choices are the three players who were recently mentioned, with Griezmann edging out as the clear favorite given that he won the Europa League and the World Cup this year. Actually, when Platini spoke to RMC Radio via L’Equipe, it seemed like he was talking about Griezmann but he surprised everyone when he revealed that his top choice was Varane. “There has never been an easier decision on who should win the Ballon d’Or. 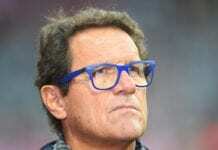 There is only one player that has won the European Cup and World Cup,” said Platini. “Results are the only the objective factor. 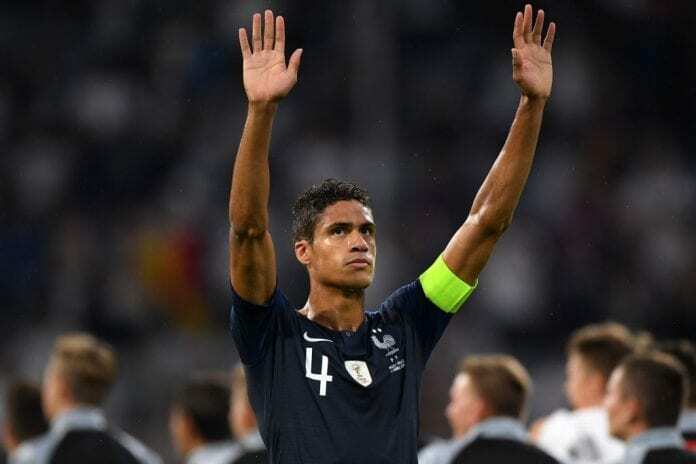 You can have your opinions about Griezmann, Mbappé… but the only one that has won it all, the two most important competitions, is Raphael Varane,” he continued. We are closing in the final stages of the year and the ceremony is closer every day, December 3rd is the key for anybody who is keeping tabs on this major event as we are. The day in which the Ronaldo/Messi era will come to an end, at least for a year because we don’t think that either of both players is done winning any more individual accolades, they are just taking a small break. We are certain that both of them will keep on playing at the same level for the next five years at least, and they will both be an important part of the next individual prize podiums. There is even a big chance of Cristiano Ronaldo winning his sixth Ballon d’Or and he finally beats Messi, an ambition he has pursued throughout his whole career and something that could finally happen before the end of the year. The problem here is that France Football organizes the ceremony, a French publication that has been rooting for a Frenchman to win the award this year. But make no mistake, Platini’s wishes are unlikely to become a reality as Raphael Varane will most certainly not win the prize. Who will win the Ballon d’Or this year? Please share your opinion in the comment section down below.